The A.R.M.S. #74 Spacer For Aimpoint Comp M4 when attached to the A.R.M.S. 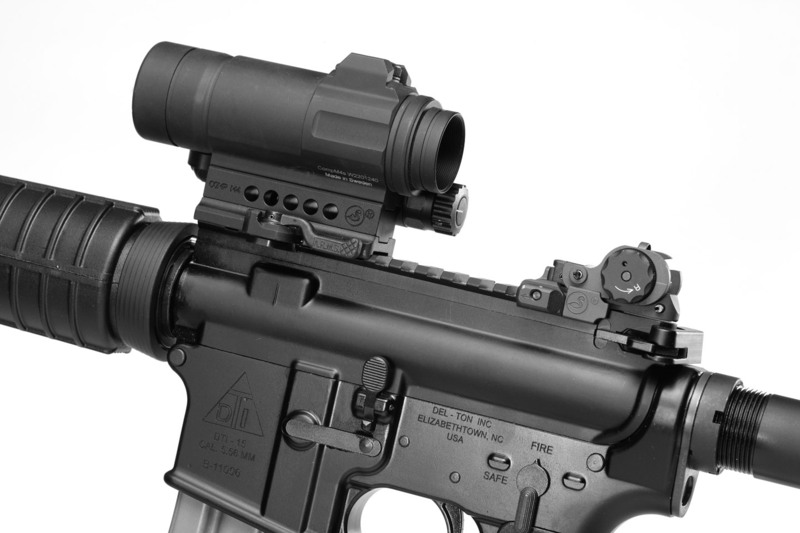 #74 Comp M4 Throw Lever Mount allows quick disconnect mounting of Aimpoint Comp M4 Red dot to the top of AR15 A3 flat top, A4 style or any picitanny rail with complete cowitness setup with back up iron sights. 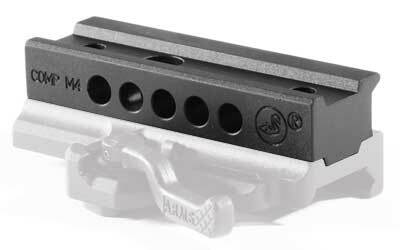 The mount gives a 1/2" rise in hight over the #74 Comp M4 Throw Lever Mount.